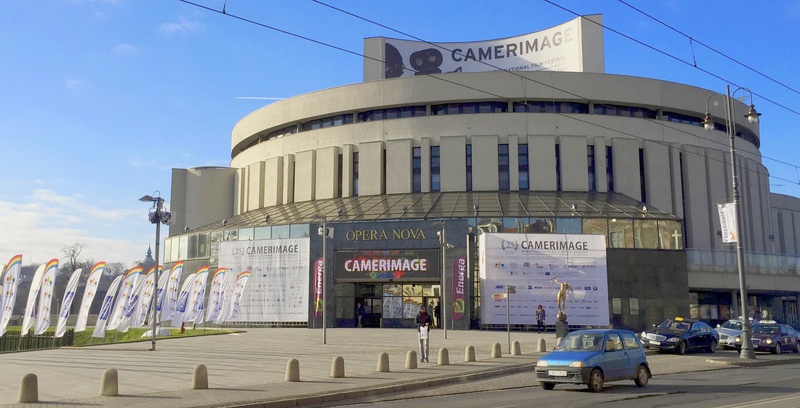 DPs, not directors, are the rock stars at Camerimage, the film festival in Bydgoszcz, Poland, devoted to the foundational art of the motion picture camera. 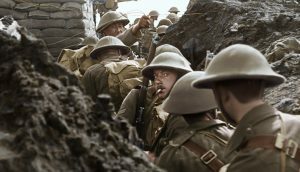 The world’s best cinematographers, if not working, flock there each autumn.The 25th edition, which wrapped several months ago in November 2017, proved no exception. The festival hub is a modernist opera house, perched above The Brda, the narrow river that bisects picturesque Bydgoszcz (once known as “Little Berlin”). Centrally located, Opera Nova hosts two theaters, including the festival’s main venue. A long, ground-floor lobby and second-floor hallway, curved thanks to the building’s cylindrical shape, house rows of shallow booths occupied by Panavision, Panasonic, RED, Sony, Canon, ARRI, Angénieux, Leica, Fujinon, Zeiss, Hawk, Cooke, Digital Sputnik, K 5600 Lighting and others. Think National Association of Broadcasters (NAB) or International Broadcasting Convention (IBC) without the vast halls, focused only on pro cine gear, with major manufacturers cheek-by-jowl. One-stop shopping doesn’t get more convenient than this. 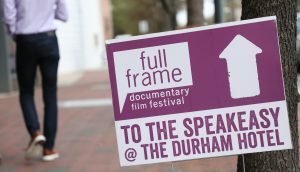 Ten minutes away by foot are a handful of satellite festival theaters, including a multiplex. 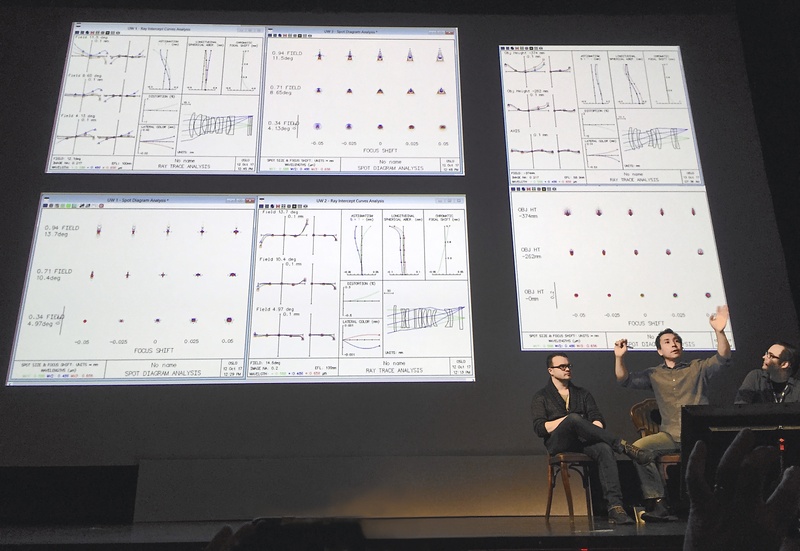 Camerimage’s compact geographic footprint guarantees an intimate festival experience in which everyone will rub shoulders in the Opera Nova — at its bar, cafe, exhibit hall — or on the street, reminiscent of Sundance in the 1980s before Hollywood showed up. Murder on the Orient Express, on display at Camerimage. My personal takeaways from Camerimage 2017, however, were gleaned not from screenings, equipment exhibits or chance encounters but from presentations and panel discussions sponsored by the companies above. 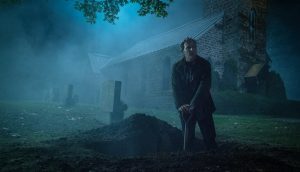 At a typical film festival, these are sideshows, mere marketing, but with digital methods and practices continuing to evolve by what seem like leaps and bounds, these sessions at Camerimage, pitched to audiences of top DPs, turned out to be incisive and forward-thinking — each one a glimpse at the future of production. Takeaway No. 1: If you, like me, thought you’d overtaken the future by embracing Super 35 gear and UHD/4K production, you’ve got another think coming. Late in January, ARRI announced an entirely new 4K camera system, ALEXA LF (“large format”), borrowing the dimensions of full-frame sensors found in digital still cameras. Size-wise, full frame is to the old eight-perf 35mm VistaVision film format what a Super 35 sensor is to classic four-perf 35mm film — twice as large. So ARRI also unveiled a new LPL lens mount (Large PL) along with a full set of LPL-mounted ARRI Signature Prime lenses to cover this expanded image area. Do take note that, despite a doubling of sensor real estate, ALEXA LF is “only” a 4K camera. That’s because its CMOS sensor uses photosites the same size as those found in Super 35 ALEXA cameras, typically considered 2.8K. In ARRI’s case, a larger sensor simply means proportionately more pixels. Contrast this to the approach RED takes with a choice of two 8K sensors for its WEAPON camera series. Both the Super 35 Helium 8K and full-frame Monstro 8K VV (introduced just before Camerimage) share an identical count of 35.4 megapixels; however, Monstro 8K VV uses larger photosites and Helium 8K uses proportionately smaller photosites. WEAPON with Monstro 8K VV sensor at Camerimage. By way of context: Still cameras have always featured sensors with more pixels than video cameras. A conventional Canon 5D has a sensor with 6.7K horizontal pixels, while a Sony mirrorless A7R III has almost 8K. 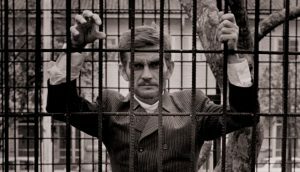 To a large degree, cinematographers simply want the exquisite image detail already available in these mass-market products. 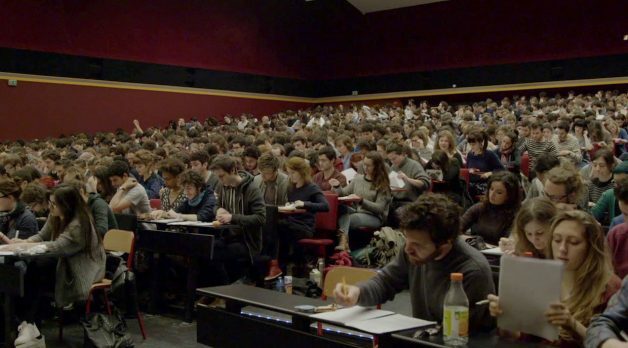 After all, how often do still photographers enlarge their work to fill 50-foot screens? Also, there’s a growing understanding that capture resolution and display resolution (deliverables) needn’t be linked. Most of what is shot in 4K today is viewed at 2K or HD. It’s now a commonplace that “oversampling” — shooting with more pixels than needed, then downsampling — produces a sharper, cleaner result. In any case, visible pixels are doomed. Ultra High Definition TV standards already in place define 8K as well as 4K. Dell sells 8K flatscreens, and Sharp, LG, Sony, Samsung and Panasonic will market 8K televisions this year (incorporating impressive upscaling). NHK Japan Broadcasting screened the Pyeonchang Olympic Winter Games in 8K Super Hi-Vision to select 8K theaters in Tokyo, Sapporo and Osaka. 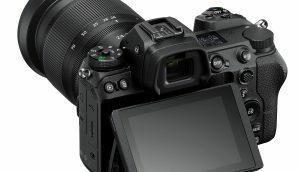 Panasonic has said that its 2020 version of the popular GH5 will be 8K, while RED and iPhone maker Foxconn are teaming to bring small, affordable 8K cameras to the masses. Meanwhile, advanced video codecs that make all of this feasible — H.265 (built into macOS High Sierra), TICO, JPEG XS — are gaining ground. Monstro 8K VV sensor at left, Sony Venice 6K sensor at right. 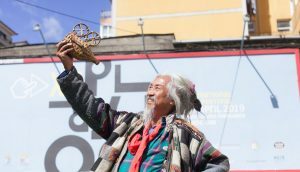 Back to Bydgoszcz: Sony used the main stage to showcase footage from its new full-frame 6K Venice camera unveiled in September 2017, and it also announced that by the time Venice ships in February, full 6K capture to 16-bit X-OCN (original camera negative) — Sony’s compressed RAW format for 30% less data — would be enabled. (Since Camerimage, Sony has endowed Venice with a new dual native ISO of 500 and 2500, à la Panasonic’s VariCam 35.) 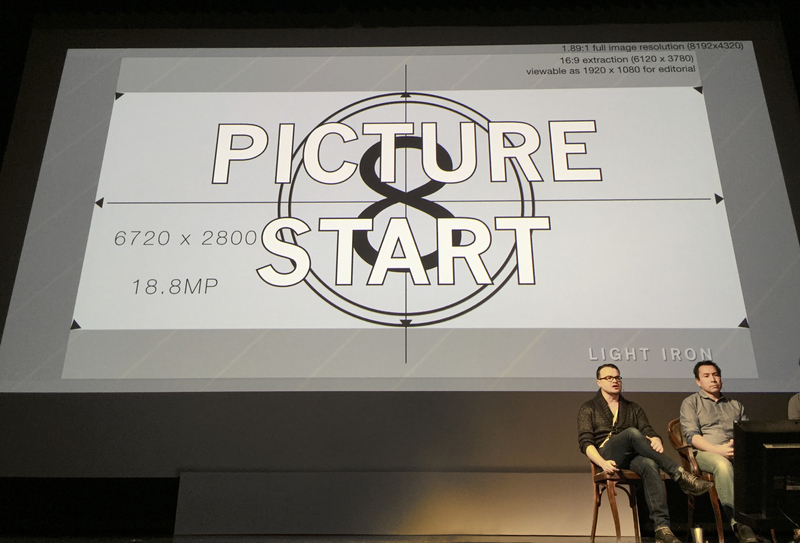 No less a DP than Claudio Miranda (Life of Pi, Oblivion, Tomorrowland) was on hand at Camerimage to lead a master class with Venice. 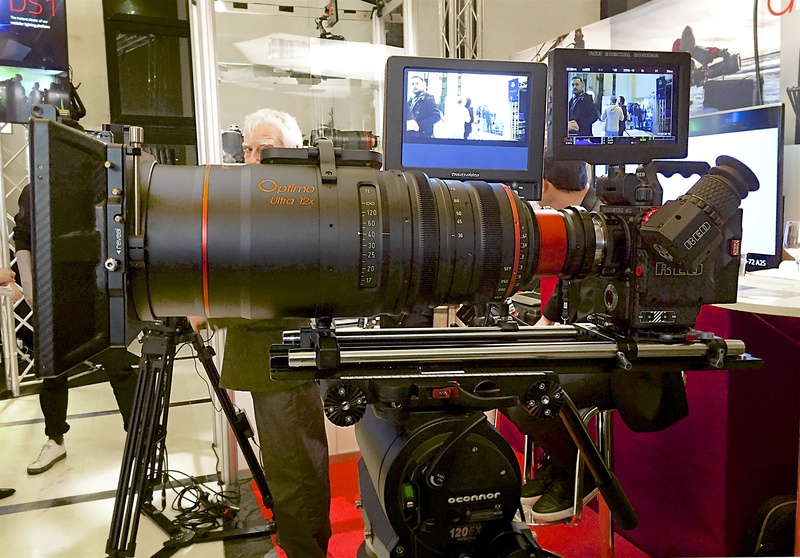 Cine lens makers at Camerimage, in light of Venice, ALEXA LF and WEAPON 8K VV, showed off new full-frame lenses. 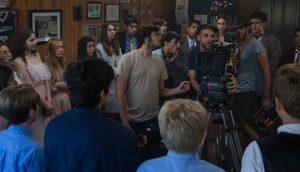 Cooke brought its latest S7/i Full Frame Plus primes, while zoom specialist Angénieux demonstrated a long-range 36–435mm T 4.2 zoom, the Optimo Ultra 12x, along with a new pair of lightweight “EZ series” zooms, 22–60mm and 45–135mm, both T3. All three zooms are quickly converted to Super 35 by unscrewing and swapping a rear module, for a gain of a fraction of a stop of exposure. 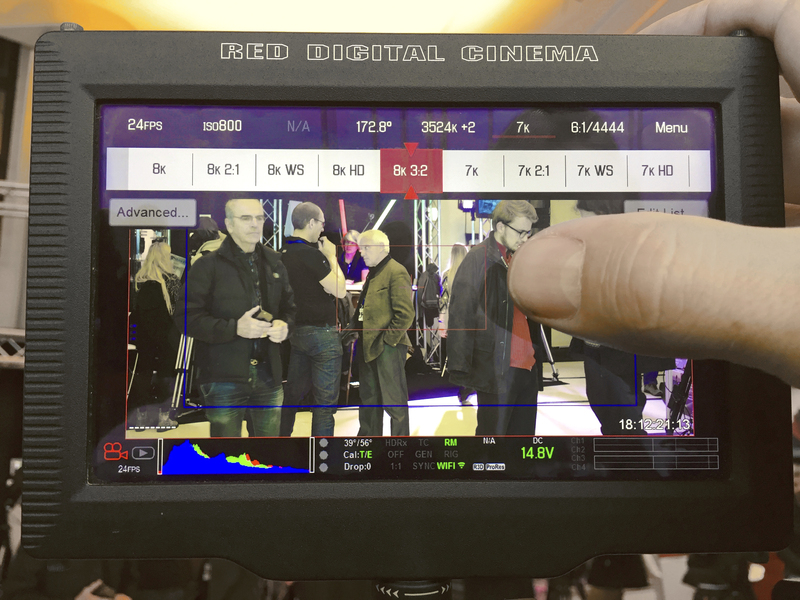 RED WEAPON with Monstro 8K sensor at Camerimage. There were also Leica Thalia primes, Zeiss CP.3 primes and CZ.2 zooms, Canon CN-E Cinema Primes, even low-cost Rokinon Xeens — all of which cover full frame. Come to think of it, every Canon EF lens ever made covers full frame, as well as generations of spherical Panavision lenses for 65mm, so Takeaway No. 2 is that lenses won’t be a problem in the move to full-frame capture. At the “Future of Digital Formats” discussion sponsored by RED, guest speaker Christopher Probst, ASC (Hansel & Gretel: Witch Hunters, Solace, Mindhunters), repeated an observation I’ve heard from other full-frame early adopters: namely that full frame occupies a “sweet spot” in terms of perspective and in how longer lenses render spatial compression (more) and geometric distortion (less). RED’s other guest speaker, Markus Förderer, BVK (Independence Day: Resurgence, Stonewall) similarly described full frame as a “sweet spot” when combined with 8K. He said that you don’t see the difference between 4K and 8K as much as you “feel” it. Sensors are all so good now, he added, that cinematographic art is increasingly all about the lenses. 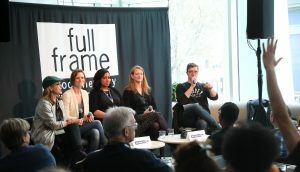 He said he likes shooting 8K with a softer lens that renders fine detail not overly sharp but smoother, which prompted the moderator, Variety’s David Heuring, to ask whether or not 8K produces an image that appears more natural and organic to the eye. at the “Future of Digital Formats” sponsored by RED. 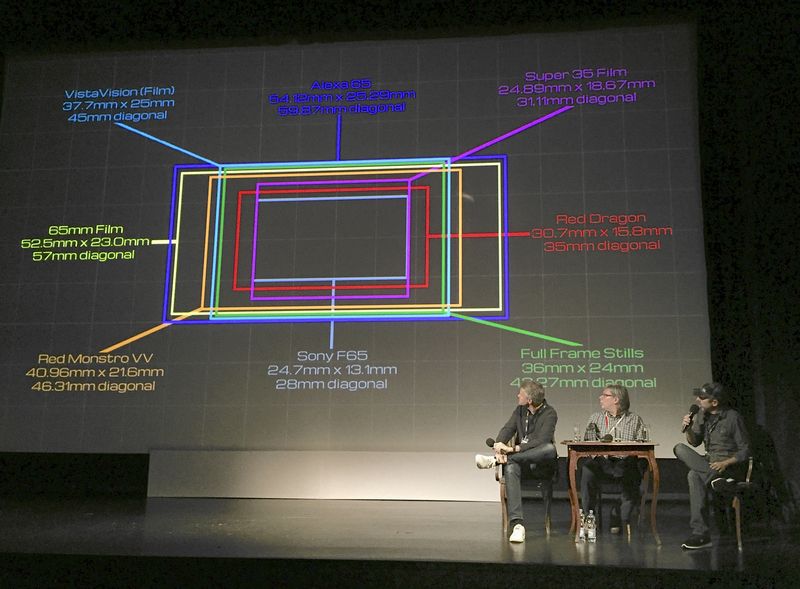 Another eye-opening discussion, “The Beauty of 8K Large Format,” sponsored by Panavision and cutting-edge post subsidiary Light Iron, took a deep dive into the psychophysics of resolution and detail. 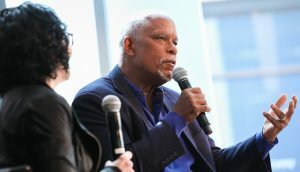 Moderated by Ian Vertovec, Light Iron’s co-founder and supervising colorist, it featured outspoken Light Iron founder Michael Cioni, now senior vice president of innovation, Panavision & Light Iron, and Dan Sasaki, Panavision’s VP of optical engineering. 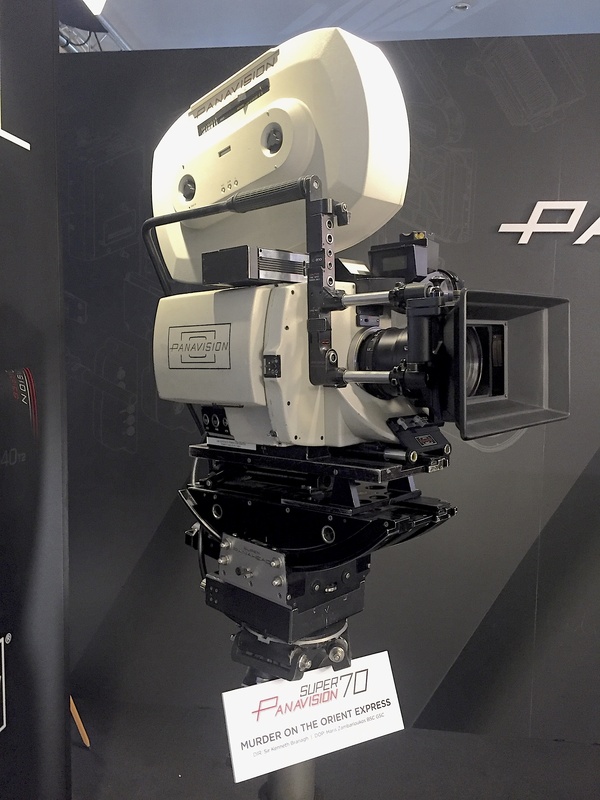 The ostensible theme was Panavision’s Millennium DXL, a full-frame camera introduced last June at CineGear, designed from the ground up by Panavision and incorporating color science from Light Iron and a Monstro 8K VV sensor from RED. To that end, a trailer was shown from Marvel Entertainment’s upcoming The New Mutants (April 2018), shot with the Millennium DXL by DP Peter Deming (My Cousin Vinny, Mulholland Drive, Twin Peaks). and 16:9 extraction (6120 x 3780), viewable as 1920 x 1080 for editorial. But a series of fascinating slides, presented by Cioni and Sasaki, exploring the underpinnings of human visual acuity and fundamentals of motion image capture and display were the star attraction. 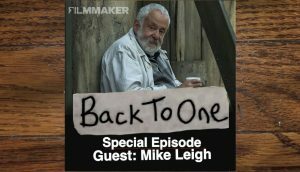 Topics included the fact that perspective, depth of field, magnification and dynamic range scale up or down equally regardless of image viewing size; a discussion of the growing practice of extracting 16:9 from larger frames; i.e., shooting 8K for 7K post and 6K finish as Fincher does; an overview of classic film formats; an impressive comparison of DXL images to 100-megapixel Phase One medium-format still images; an insightful dissection of what constitutes the “soul” of a lens from an optical design standpoint; and a complex matching-up of human vision and digital imaging systems, invoking Nyquist limits, arc minutes of resolving power, visual acuity vs. hyperacuity (Vernier), stereo-acuity, binary responses to pixel and color simulation and more, most of it beyond the scope of this brief report. Two emphatic statements drawn from the presentation, however, sum up it all up. the “soul” of a lens from an optical design standpoint. • “More pixels is a component of better pixels,” according to Cioni. 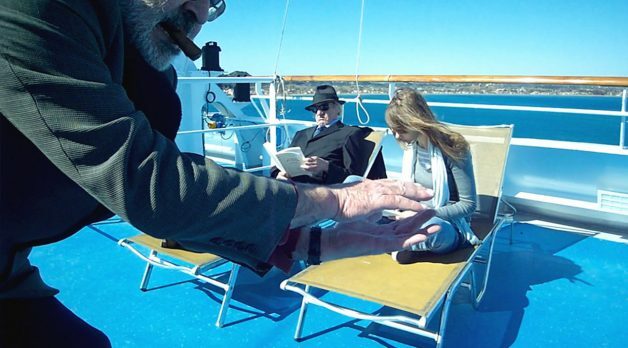 • More resolution looks more like film, according to DP Peter Deming. Also, 8K offers the feel of anamorphic depth-of-field in a flat format. • Digital resolution is a powerful creative tool. Oversampling is the new workflow. 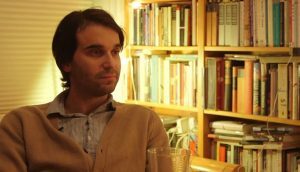 Images no longer live at 100% source scale. This facilitates repositioning, reframing, visual effects compositing, chroma/luma keying, tracking, stabilization, digital set extension, rotoscoping, and more. • 4K is ideal for distribution, which will be the case for a decade. • There is no longer any such thing as fixed exhibition resolution. In short, I had arrived in Bydgoszcz thinking production in 8K was outlandish and over-the-top. I left after five days of Camerimage completely convinced otherwise. Let’s only hope Netflix doesn’t reach the same conclusion anytime soon.